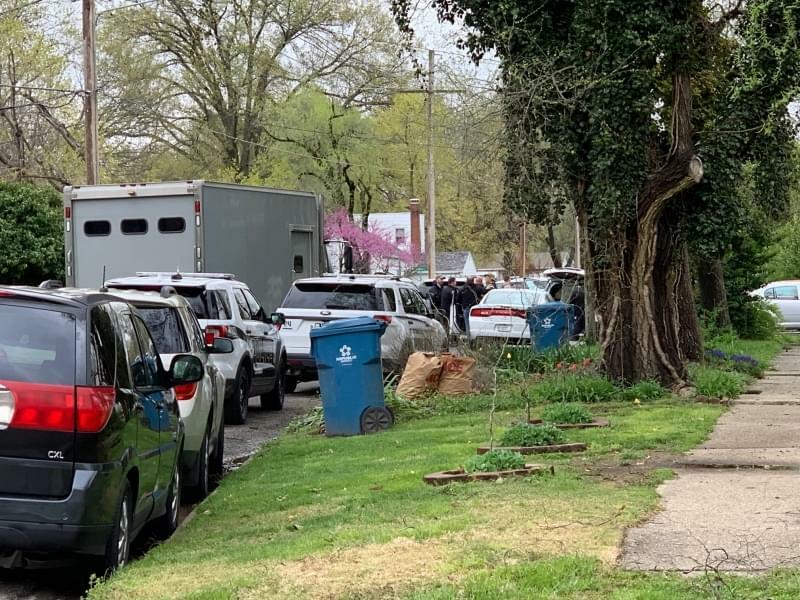 More than a dozen police officers from multiple jurisdictions search an apartment building for suspects in the Sunday afternoon robbery at the Circle K on East McCord Street. Two juveniles were eventually taken into custody. Photo by Tim Ferguson. Centralia Police have arrested 16 and 17-year-old juvenile boys from Centralia in connection with armed robberies at the Circle K store on East McCord Street Sunday afternoon and a similar armed robbery Thursday night at the Casey’s East Store on East McCord. information obtained in earlier investigations, including the Casey’s Store Armed Robbery. The two were sent to juvenile detention in Franklin County pending a first hearing in Marion County Court. Atchison says in both of the armed robberies, one of the teens was armed with what police believe was an assault type weapon and were last seen leaving on foot after taking an undisclosed amount of cash from the clerk. There were customers in the Casey’s Store at the time of the holdup around 10:30 Thursday evening. There were no injuries in either incident. Atchison reports the two are also being studied for possible involvement in the armed robbery Saturday morning at the Huck’s Convenience store on Broadway in Mt. Vernon. He reports they matched the description of those involved and the same type of weapon was used. Mt. Vernon Police reported no injuries in that incident after those involved fled with cash and one of the employee’s keys. 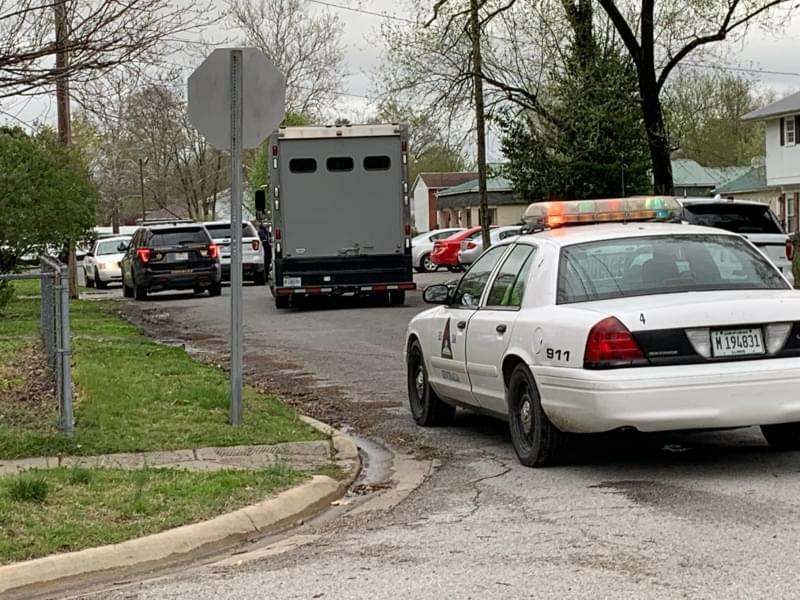 Atchison says extra Centralia officers were called in, including members of the high-risk team, to assist in finding the two teens after they were tracked to the apartment building. They were joined by Marion County Sheriff’s Deputies, State Police as well as Central City and Wamac Police. In all, Atchison estimates there were more than a dozen officers involved. The Circle K armed robbery was reported at 3:06 on Sunday afternoon. The dog was tracking from the crime scene at 3:14 and arrived at the Frazier Street apartment complex at 3:24. By 5:32 Sunday afternoon, both teens were in custody. Police gather on Frazier Street as a canine search for two armed robbery suspects leads them to an apartment complex in the former Frazier Manor Nursing Home building. Photo by Tim Ferguson.